There was some discussion on CTA Tattler today regarding the upcoming Red & Purple Modernization Project public scoping meetings. There are more details about all of the proposed alternatives in the Notice of Intent filed with the FTA. (Credit to Hugh Bartling for finding this document.) First, there's the "No Action Alternative" which would do nothing. The "Basic Rehabilitation Alternative" would essentially put lipstick on a pig, while the "Basic Rehabilitation with Transfer Stations Alternative" would add Purple Line transfer stations at Wilson and Loyola. Both the "Modernization 4-Track Alternative" and "Modernization 3-Track Alternative" would permanently close four stations: South Blvd, Jarvis, Thorndale, and Lawrence. Both of these options would replace the existing structure and embankment with "modern concrete aerial structure" while also rebuilding most stations. The 3-Track option would allow for Purple Line Express service in only a single direction. The "Modernization 2-Track Underground Alternative" would replace most of the existing Red Line structure with a two-track subway. 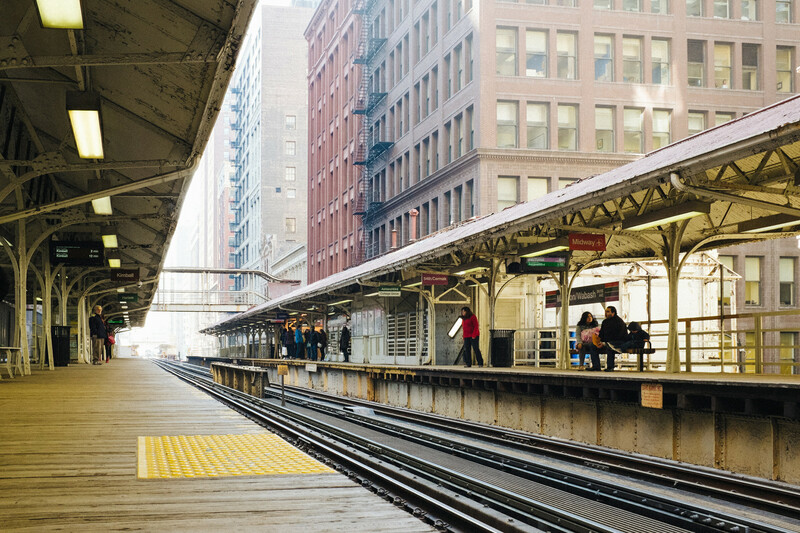 Trains would transition below ground after Belmont, following the Brown Line tracks and then running under Sheffield/Sheridan to the intersection of Sheridan and Broadway, where they would then run under Broadway until returning to elevated just north of Loyola. Subway stations would be constructed at Addison, Irving Park, Wilson, Foster, Bryn Mawr, Glenlake, and Devon/Loyola. Purple Line Express service would be discontinued in favor of more frequent local service. I created a map of what this proposed subway portion would look like. (Not that I actually expect this to ever get built.) Public meetings will be held in Uptown, Edgewater, Rogers Park, and Evanston next week to get input on the alternatives. They're here. More details soon. 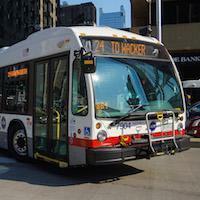 Welcome to Chicago Transit Forum! Please note that while the new forum has launched, there are some punch list items remaining. Additionally, we are running on a major new release of the software that powers the forum. The software vendor has completely re-written the software from the ground up. Some features, such as search, may not be as full featured as the previous version but should see improvements over the next few months. Please post here if you have any questions or notice that something doesn't seem to be working properly. This shouldn't be the case. I will look into this. It's all part of the plan to reduce crowding. Children will see that thing and run away crying. Busjack is correct. Linking is fine. Re-uploading here is not unless the photo is licensed to allow that. Can I get it on 100 3.5-inch floppies instead? Noted. Thanks for the feedback. Prepaid boarding pilot coming to Madison/Dearborn. Note: The "Possible new employee" topic has been merged with "Hiring Process." Transit App is showing the 31 and 95 as expected, so it depends on the app. Buses are tracked internally when they go off-route, but Bus Tracker and the public API will not show buses in that state. The "Source" button allows edits to the underlying code, but traditional BBCode has generally been phased out by the software vendor. It's not something I have direct control over. Some details from Tesla's updated master plan released yesterday: In addition to consumer vehicles, there are two other types of electric vehicle needed: heavy-duty trucks and high passenger-density urban transport. Both are in the early stages of development at Tesla and should be ready for unveiling next year. We believe the Tesla Semi will deliver a substantial reduction in the cost of cargo transport, while increasing safety and making it really fun to operate. With the advent of autonomy, it will probably make sense to shrink the size of buses and transition the role of bus driver to that of fleet manager. Traffic congestion would improve due to increased passenger areal density by eliminating the center aisle and putting seats where there are currently entryways, and matching acceleration and braking to other vehicles, thus avoiding the inertial impedance to smooth traffic flow of traditional heavy buses. It would also take people all the way to their destination. Fixed summon buttons at existing bus stops would serve those who don't have a phone. Design accommodates wheelchairs, strollers and bikes. Effective immediately, at least 25 posts are required before members can create new topics. As always, please reply to existing relevant topics if possible before creating a new topic. Thanks. @chicagopcclcar Your post was merged into this existing topic. I think I need to add a new line to the Community Guidelines: Anyone who posts April Fools Day jokes will be immediately and permanently banned. Yes, a minor software upgrade was applied yesterday. The downtime earlier today was unrelated. I just recently heard about Let's Encrypt.